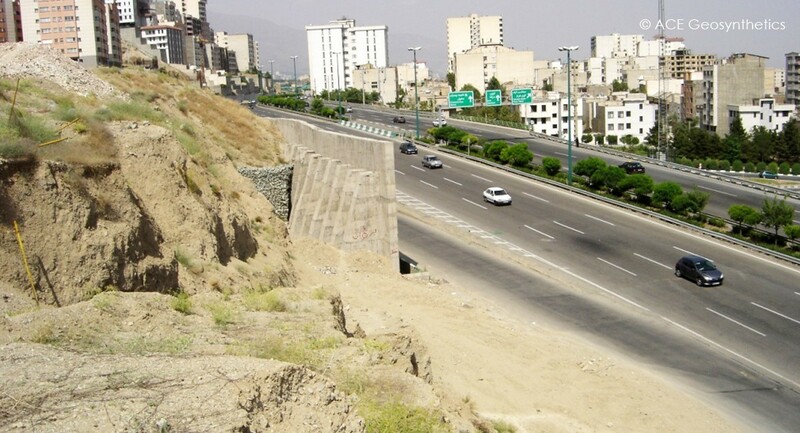 Iran is a country within a seismic zone; because of its geographic location, the residents were threatened by earthquake damages. 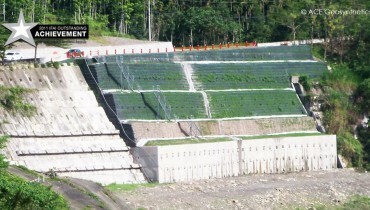 The project site was in Bouali; the access road was built on an unstable slope. Therefore, when earthquakes occurred, the road endangered people's lives and safety. The problem was the unstable slope and the soft soil foundation. 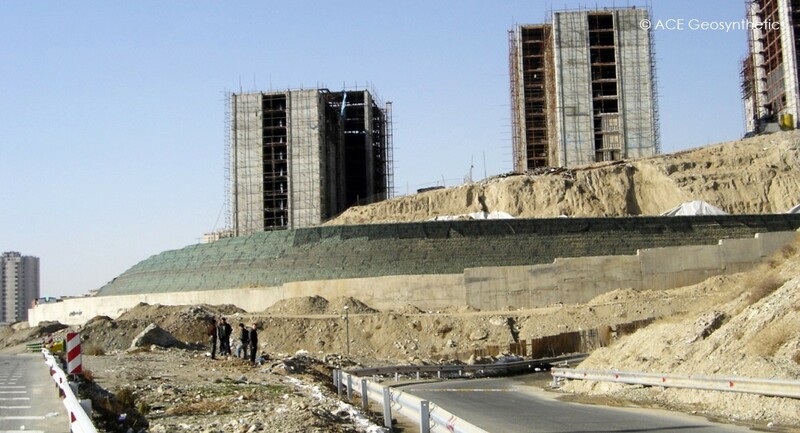 The whole slope was about 25m high, the toe of the slope partially intrudes into the highway, and at the top there are apartments. Every time earthquakes occurred, the soil and rocks fell down, impacting the road users and local residents. Taking into account both key factors: cost and outlook, the solution required building a retaining wall with concrete block facing. The project was divided into two stages. The bottom of the retaining wall was partially built with traditional concrete and high tensile strength ACEGrid geogrid® GG150-I. 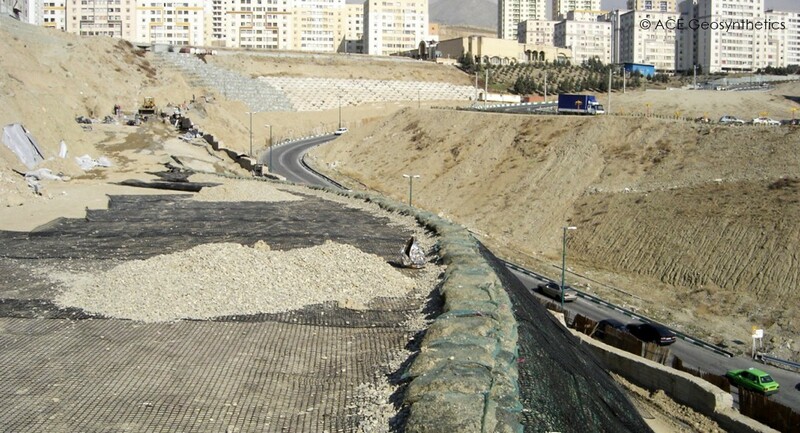 On the other hand, the superior stage applied ACEGrid® geogrid GG40-I (slope stability of 1:0.3), and wrap-around vegetative facing. 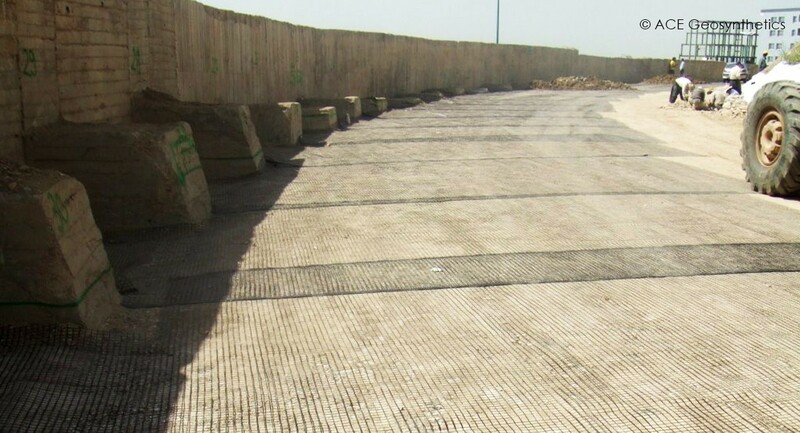 The construction of the reinforced structure applying ACEGrid® geogrid successfully reduced material consumption and transportation charges. Most importantly, the geosynthetic materials strengthen the structure’s stability. At the same time, the slope, after vegetation, offers an ecologically-friendly scenario, while ensuring the safety of road users and residents.